I have flirted with the idea of audiobooks for ages. I could listen to them on the many train journeys I take, or at night when I’m really tired. But for some reason I have never brought myself to try one. Until now. The Audiobook Challenge is something that I couldn’t pass up, a very laidback casual challenge that seems perfect for first time audio listeners. There is another reason that I want to join this challenge. 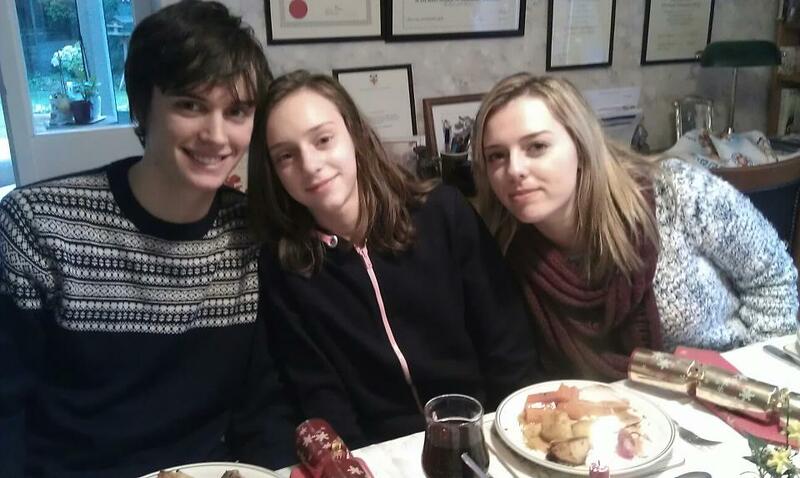 This is me and my lovely sister Jenny (and my brother Tom). Jen is dyslexic and really struggles with reading and writing. So, in order to help her read and write she is going to write a review a book every 2 months (hopefully). So, this month I am going to be reading Pride and Prejudice by Jane Austen and Jen is going to be reading Percy Jackson and The Lightening Thief!! I am going to be doing the going steady (12 books a year) section of the challenge and Jen will be doing the flirting (6 books a year) section. So wish us luck on our audiobook challenge this year!! Next Post Top Ten Tuesday! Good luck! I don’t know what other kind of books you’re considering, but some of my favorites to listen to on audio are humor books — they’re just funnier when read aloud. Whatever you choose, have fun! I’ve actually never considered audio books myself. Good luck on the challenge both! Thank you, I can’t believe its taken me this long!